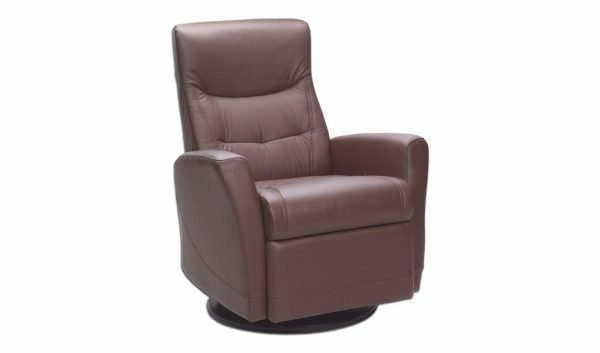 The Fjords Oslo small swing relaxer combines exceptional comfort and an appealing design. 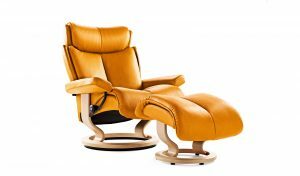 Each recliner has a swivel function and a fluid rocking motion built into the function of the chair when the footrest is not extended. 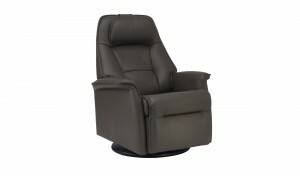 When reclined, continuous back support, head support and leg support allows your body to relax. The headrest can be adjusted forward or backwards depending on the desired amount of head support needed. 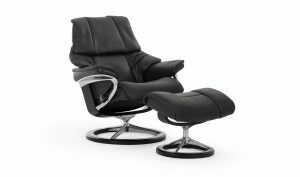 The Fjords Oslo small swing relaxer is available with a manual footrest release lever or with a power upgrade. A manual recliner will have a black release handle on the side of the chair. A power recliner has two buttons on the inside of the arm. The power mechanism will hold your desired position for you with ease. 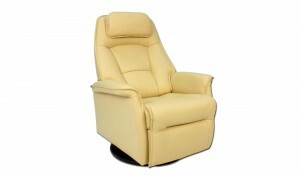 Choose your Oslo swing relaxer in numerous fabric or leather options.